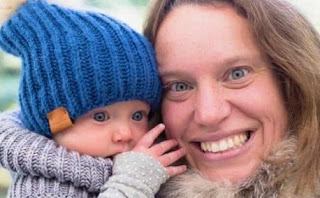 A young mother and her 10-month-old daughter have been killed by a grizzly bear metres from their cabin in Canada’s Yukon territory. Valérie Théorêt, 37, and her daughter Adele Roesholt, were killed on Monday near Einarson Lake, a remote area 400km from the territory’s capital of Whitehorse. What a loss... And to think this happened for an animal's fur... Chau's Odyssey came to mind again. Another case showing the dangers of invading the territory of primal minds. R.I.P.